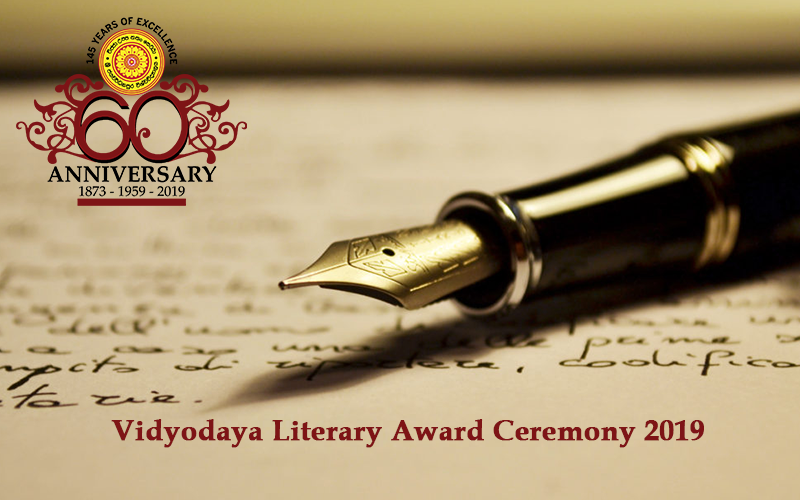 Parallel to the 60th Aniversary Celebrations of the University of Sri Jayewardenepura, Vidyodaya Literary Award Ceremony will be taken place on 05 September 2015. Published works in the year 2018 such as Novels, Short Stories, Poem Books, Song Books, and News Paper Columns are considered for the awards. Two copies of published works including author publications or publications done through publication companies should be submitted to the Department of Sinhala and Mass Communication of the Faculty of Humanities and Social Sciences on or before 31st March 2019.